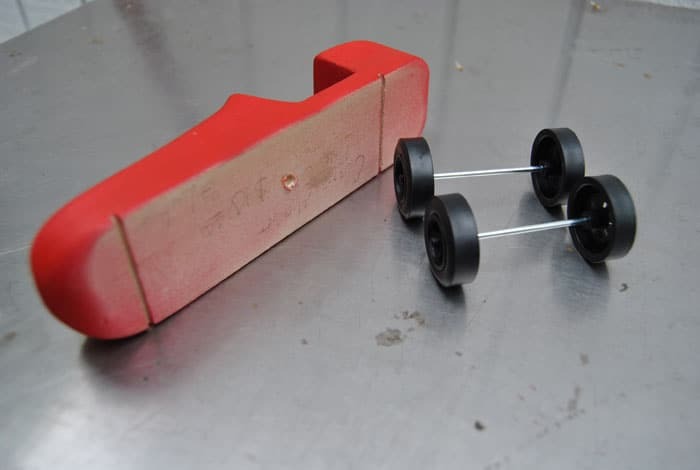 Pinewood Derby cars are a staple of American childhood. For many children it’s the first time they have an opportunity to build something of their own. 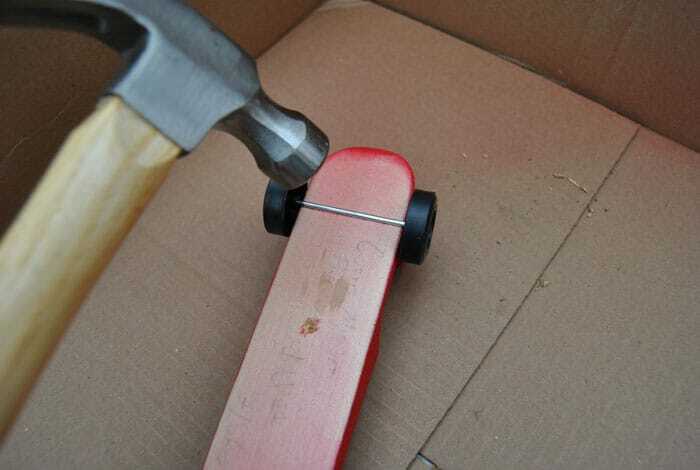 What’s great about Pinewood Derby cars is that they stoke creativity at every stage of the process. 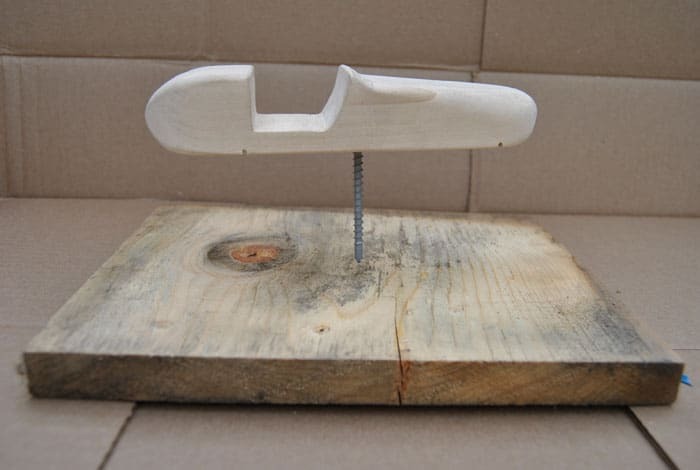 From carving/whittling the car from a blank piece of wood, to painting and decorating the car and preparing it for race day. For this project we are going to focus on the painting process. 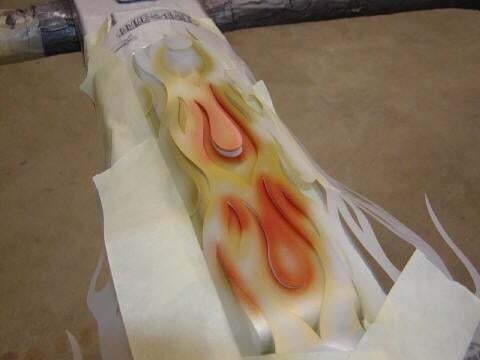 There are a variety of painting techniques you can use, but the most effective way is to use an airbrush. An airbrush will apply the lightest coat possible and dry quickly. It will also allow you to get very creative with painting patterns and stripes. For our Pinewood car we simply went with a classic red. Here’s a quick video showing how we did it with instructions to follow. 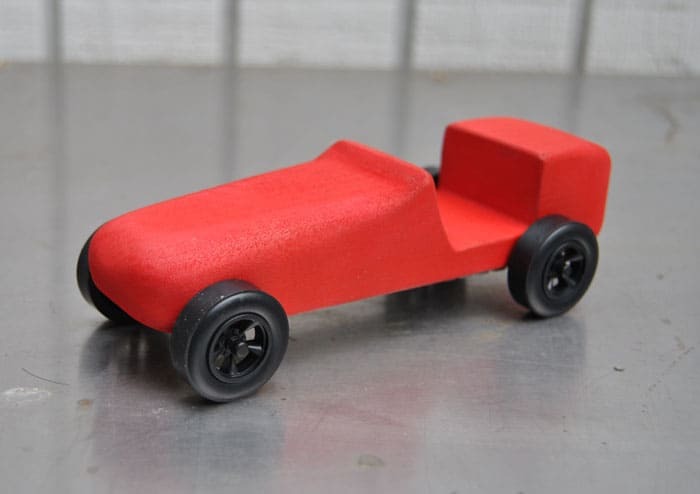 We purchased a pre-carved pinewood derby car from Luke of Evett’s Model Shop in Santa Monica. 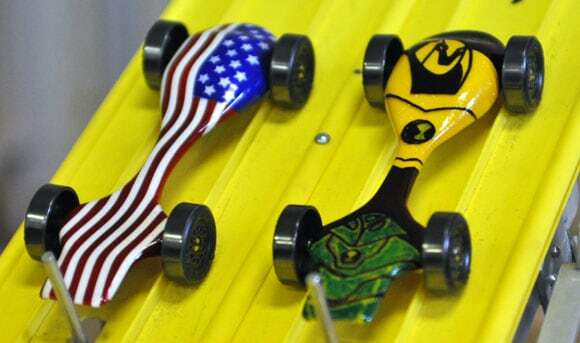 They are one of the few hobby shops in LA that still sell pinewood derby cars. This one was custom carved. You can buy a full-kit for about $4 on Amazon. 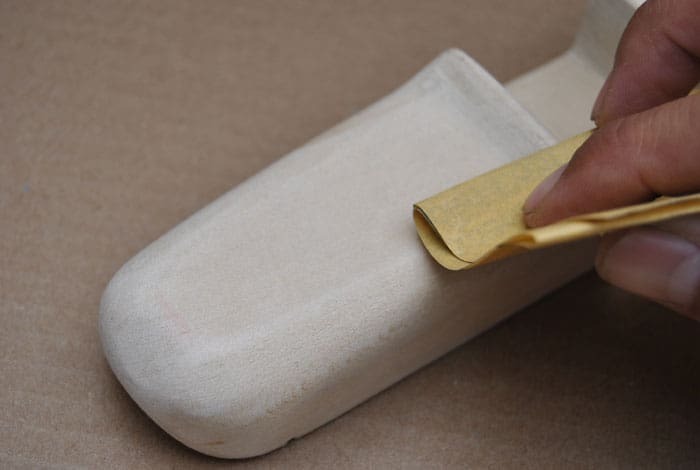 Since our pinecar was pre-carved, we simply gave it another light sanding using 180 grit paper then made sure it was thoroughly clean of sawdust. 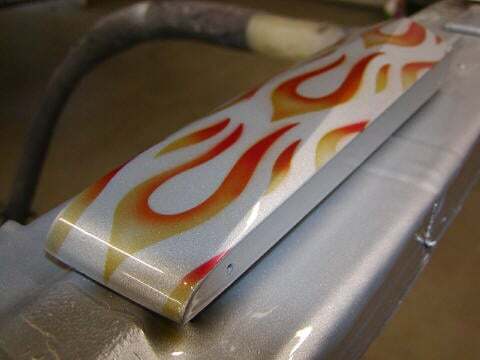 To paint the car we used an Aztek airbrush kit that included paint. We also needed the compact Aztek compressor. After sanding the car we were ready for paint. 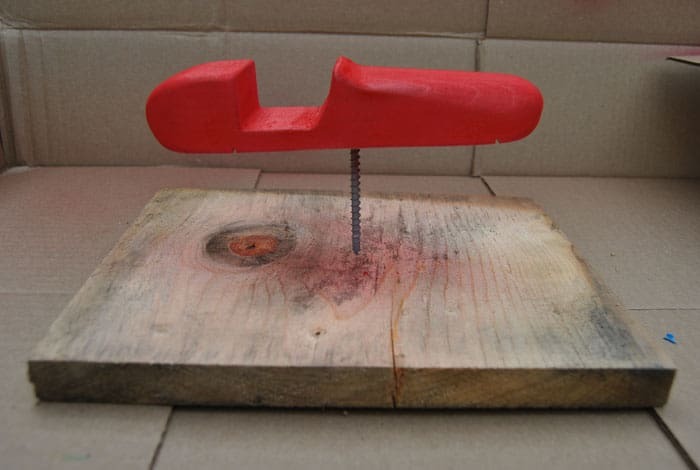 We found that the most effective way to paint our car was to elevate it from the surface of our work area by attaching it to a screw that is embedded in a piece of pine board. 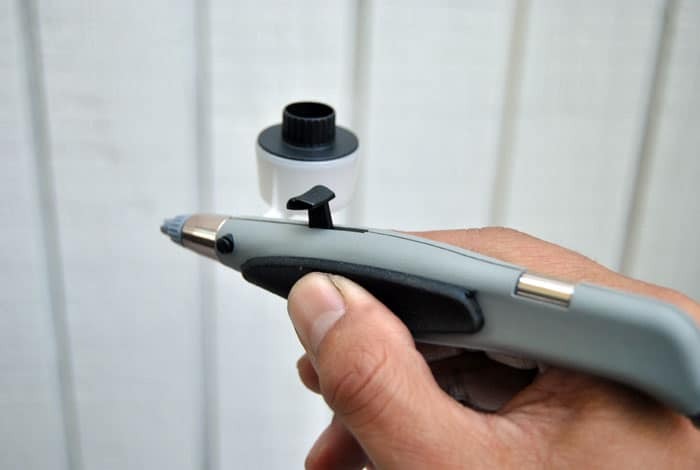 This handy trick allows you to get all of the angles evenly and prevents paint from getting on your hands. 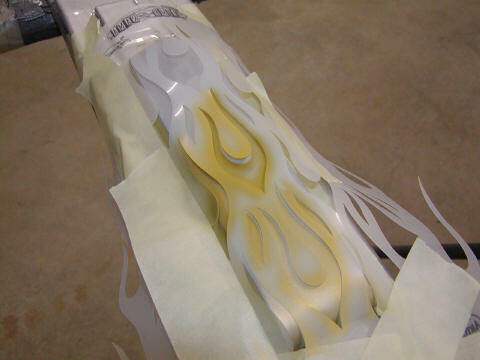 Setting up our Aztek airbrush was easy. We first attached the hose to the airbrush and then to the compressor. 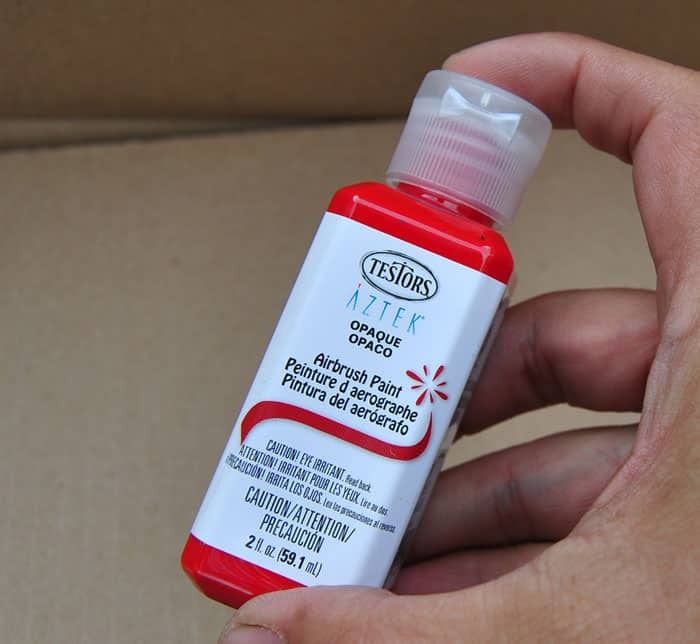 We then attached the paint canister to the airbrush and added our red paint. Then we simply turned on the compressor and started painting. 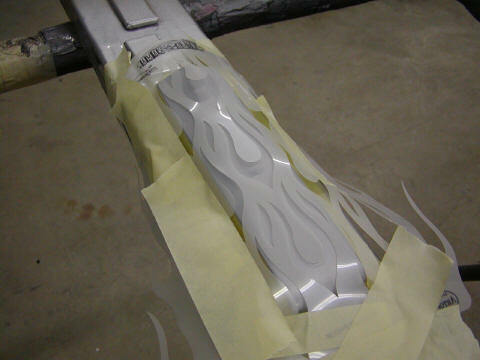 You can fine tune the spray and pattern using the airbrush adjustments located on the top and of the airbrush. Here’s a great video showing you how. 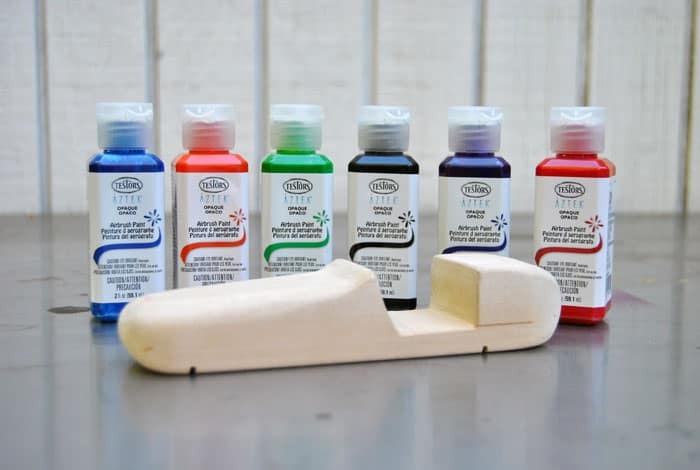 Use quick sweeping motions across your pinecar and don’t keep the airbrush in one place. You want the paint to go on as light as possible. If you require a second coat that’s much easier to do than dealing with a drips from too heavy of a spray. The Aztek paint dries within an hour and clean up is easy. 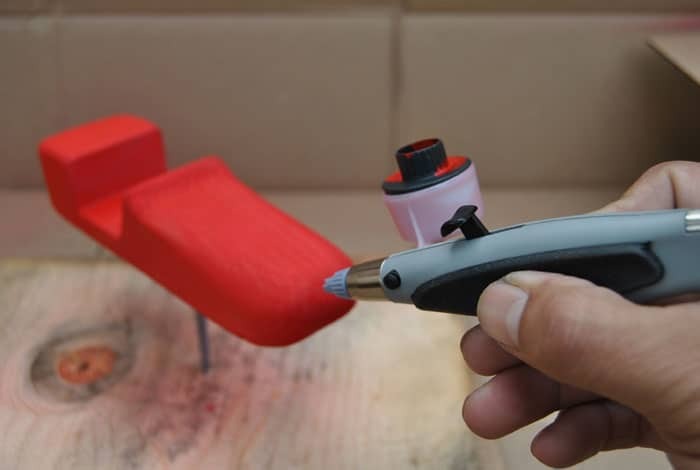 Remove the nozzle and pin and wash it throughly and do the same for the airbrush paint container. The next step is adding wheels, weights and then stickers or more paint if you desire. If an amateur like me can airbrush a pinecar like this without any runs or drips, then anyone can do it. I plan on adding stickers and possible some stencil painted flames, but I wanted to share some examples of hobbyists who really know what they are doing with an airbrush. Not the shiny clearcoat on some of these which really makes a difference. My oldest boy (Shane – 11 years old) designed the American Flag car. My youngest boy (Matthew – 8 years old) designed the Ben 10 car. Shane took 1st and Matthew took 2nd in their pack. The boys cut their cars, sanded the body, applied the wood putty, and primed and painted the cars with my airbrush equipment (the high shine comes from using PPG Deltron basecoat clearcoat). I could go on and on about the paint jobs because they did an awesome job. My wife and I taught the kids to write their names with an airbrush. 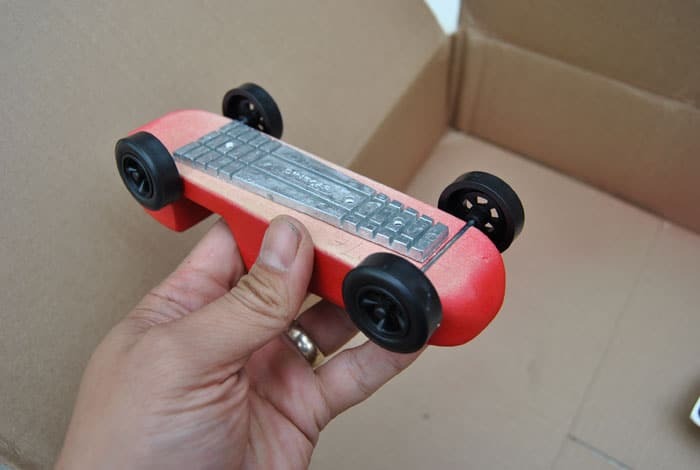 Here’s another great example found on Pinewood Derby Times. 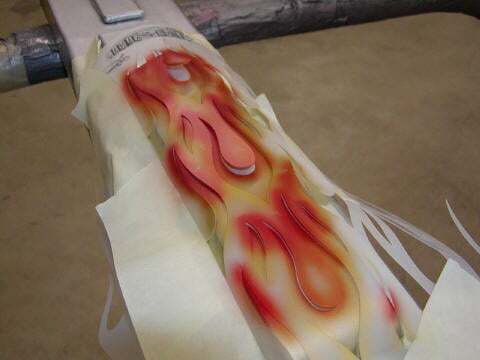 This shows how a stencil can be used to paint flames with not only one but three colors. It’s absolutely gorgeous. Whether you opt or a simple design like we did or a fancy multi-color racer, airbrushing is the only way to go to achieve the best results. Even though our son is 3, he already has a strong opinion about what things should look like and he’d love to join me on the next project to help pick out the colors and designs. He could even do a bit of painting with my supervision. 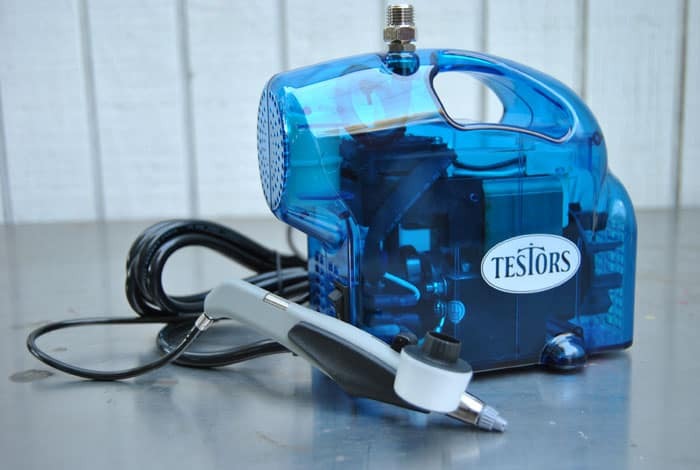 Thanks Testors for letting us try out the AZTEK airbrush kit and we look forward advancing our skills on future projects.